immediate again . 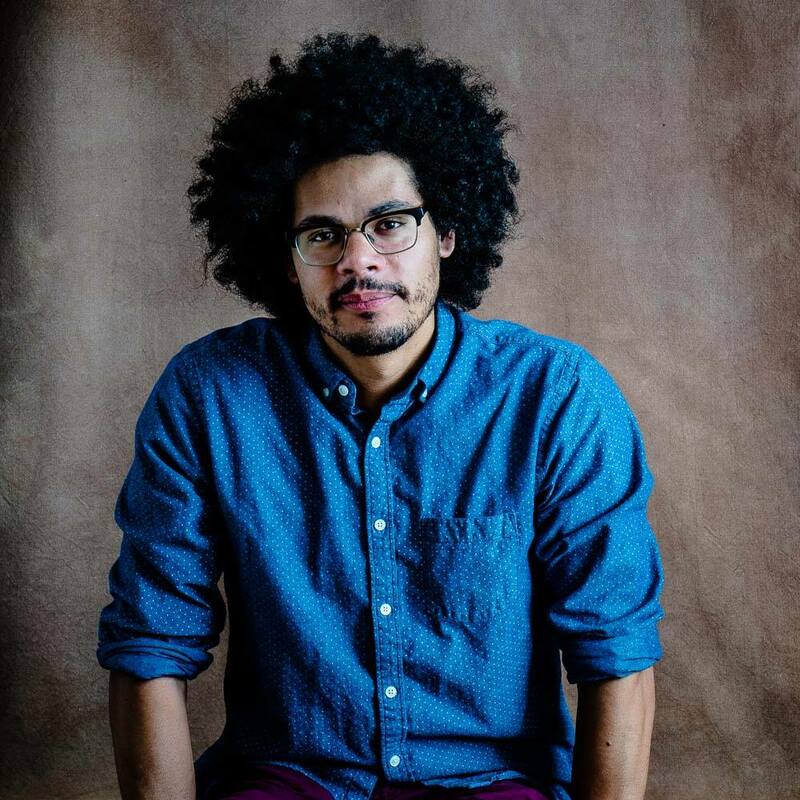 . .
Our 2018 residency participants can look forward to exploring poetic voice, the pedagogy of emotions, and the intersections of writing and life with poet Geffrey Davis, who joins the Rainier Writing Workshop this summer as a new member of our faculty. His first collection, Revising the Storm, unpacks the experiences of childhood poverty, parental addiction, divorce, miscarriage, and new fatherhood. 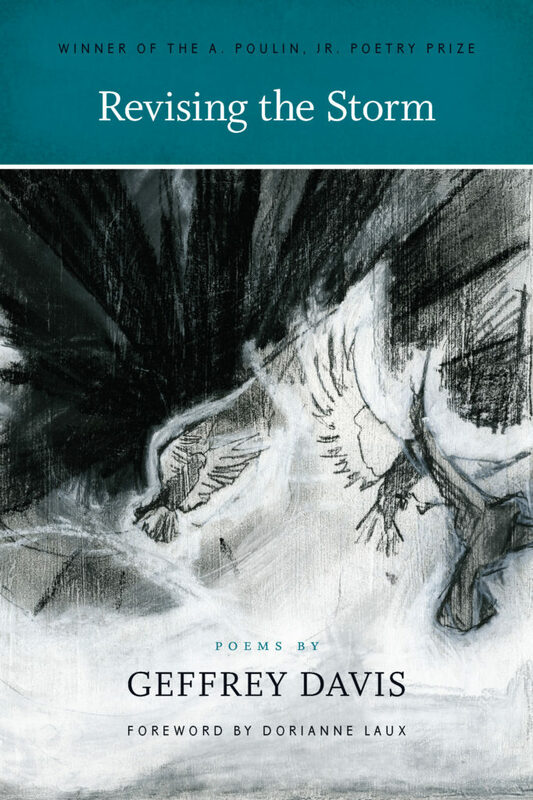 These are heavy subjects, but Davis's mastery of craft infuses these poems with the breathing room necessary to hold these experiences with grace and wisdom. Geffrey Davis grew up in the Pacific Northwest and now teaches at the University of Arkansas. His work has appeared or is forthcoming in many places, including Ploughshares, The New Yorker, The New York Times Magazine, The Massachusetts Review, New England Review, and PBS NewsHour. He also serves as the poetry editor of Iron Horse Literary Review. In an email interview conducted in May, Davis discussed his forthcoming collection, his approach to teaching and mentoring, and what he's looking forward to in his new role as a member of the RWW faculty. Lisa Morin Carcia: Your first collection, Revising the Storm, traces a life from childhood through first marriage, present marriage, and new fatherhood. One of the great pleasures of the book is seeing the way this life unfolds in narrative on both the individual poem level and on the level of the book as a whole, with striking insights discovered along the way. How about your forthcoming collection, Night Angler, with its title that's reminiscent of the poems about fishing in Revising the Storm—does your new book continue to develop the narratives and themes of your first book, or does it strike out in a new direction? Geffrey Davis: I hope both/and are true. The new book definitely picks up narratively and thematically where Revising the Storm left off—you might read Night Angler as an evolving, book-length, father-to-son love letter of my wondering and worrying about models of failure and models of care—but even as I chart and grow to understand what’s being relived about the fathering I received, all along I’m praying for the messy success of breaking certain family cycles. Naming the possibility of that newness has been the healthiest, if also the scariest, prospect of working on this book. LMC: I'd like to help the RWW community get to know you as a teacher and mentor. Could you tell me about an especially influential teacher you had? How do you carry forward what you learned from him or her into your own teaching and mentoring? GD: Something that Joseph Millar said during my very first poetry-writing class at Oregon State University resurfaced for me in a major way. I don’t remember which text we used that quarter, but I’ll never forget the gist of his instructions for reading the selections of poetry in it: read a poem; if you don’t like that poem, read the next poem; if you don’t like that one, read the next one; and so on until you find a poem that you do like; write an original poem that responds to the piece you like. As a struggling first-generation college student who had only recently switched majors from zoology to English, I found his approach vital in shifting the focus of my reading purposes from that of mastery and validation to that of mystery and recognition—I felt free to wander rather than cover the poetic field before me. Now, through my own teaching and mentoring, I have come to appreciate how his approach also quietly instigated a more engaged sense of reader responsibility and, in turn, the need for connecting my patterns of reading/writing with my habits of mind. As it turns out, influence is not innocuous. I try to carry forward that creative tension, challenging writers I work with to wander through our literary traditions with woke consideration, going as far as necessary to find and inhabit and study the wilderness of our own inspirations. "I try to carry forward that creative tension, challenging writers I work with to wander through our literary traditions with woke consideration, going as far as necessary to find and inhabit and study the wilderness of our own inspirations." LMC: What are you looking forward to about teaching at RWW? GD: I really look forward to working synergistically with motivated writers who have committed to carving out spaces for taking their craft and their voices more seriously. And I look forward to collaborating with the talented RWW faculty on that robust front. In my experience, there tends to be a strong correlation between the energy and ambitions of a community and the energy and ambitions of the work that community produces. LMC: What have you read lately that has especially excited or inspired you? GD: There’s so much good writing to glean inspiration from, but lately I find myself kneeling before Ross Gay’s Catalog of Unabashed Gratitude—in large part for the ways in which that book challenges me to discover and document (in writing and in teaching) the hard labor of joy, even (or especially) in the midst of elegy. LMC: What do you most love to do when you're not writing or teaching? GD: When I’m not writing or teaching (or spending time with my wife and son), I love to train in the boxing gym or fly-fish on the river. I have found that more than any other contexts, the gym and the river offer me the kind of scenery and demand the kind of attention that (even on bad days) can really ground an otherwise dispersed sense of being in the world. And so I go to those spaces as often as I’m able for self-care and for resetting my general experience of the happenings of the world. To learn more about Geffrey Davis, visit his website: www.geffreydavis.com.